We’ve all seen the reality shows lately that have the contestants plastering the walls with (most of the time, badly hung) wallpaper. And before you start cringing at the memory of our 70’s-styled houses with all its dated orange & brown patterns, wallpaper is a bit different than you remember. And you may even fall in love with the new designs! 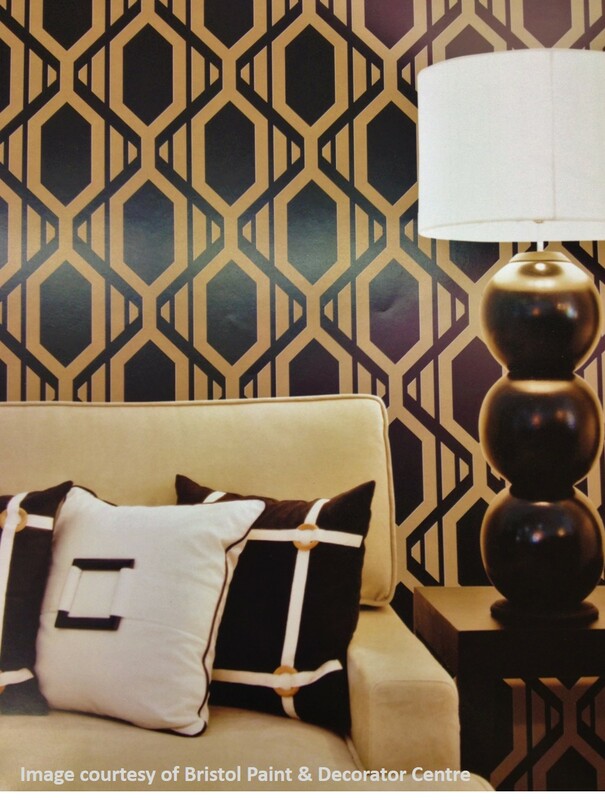 To start with, now days wallpaper is used primarily for feature walls. Gone are the days of whole rooms being clad in traditional patterns or florals. And this option of feature walls allows the new styles to feel more appropriate & proportioned in the room. So what’s new in wallpaper? Well there are a few types to choose from. Wallpapers are usually a repeated pattern as they are hung in strips from the ceiling to the floor. This makes it great for geometric patterns, florals & textures like wood or stripes. However, wallpapers now include full Wall Murals, Anaglypta, Grasscloths, Flocking, Metallics, Textures & Beads. Murals are a large image that has been blown up to a full wall size. This can even be your own images of family or maybe your travels. These can be made to your wall widths & usually come in panels that match together rather than strips. Anaglypta wallpaper is textured wallpaper which is paintable. These come in a wide variety of patterns & textures so they look like pressed metal panels or old render. This is great if you want to change your colour but keep the pattern. As these papers are thicker, they are great for hiding walls with cracks or damaged plasterwork. Grasscloth is a natural fibre that is woven & stuck onto a paper backing. This gives a natural look & over time can fray a little giving an even more natural appearance. This can be difficult to apply due to the fraying. Flocking is a velvet-feeling finish to the paper. It is a decadent look that works well with the Glam style. This is sometimes teamed with metallic to highlight the velvet look. Metallics are not new in wallpaper but can give a fantastic appearance. The shiny nature of the metallic colours are usually highlighted with geometric patterns for an Art Deco feel or damask leaves for the Glam look. Textures are making a huge comeback as they don’t interfere with any decorating choices but give depth to a room. These can be natural looking elements like wood, furs, stone, woven baskets, linen & silks. Some of these textures look so real, like planks of timber have been stuck to the walls or zebra skins on your mantle. Many of which also feel quite textured. These sit beautifully with many of the current design styles, like timbers for Scandinavian, timber panelling for Hamptons, rustic bricks & metal beams for Industrial & stacked stone for the Modern look. Beads or glitter are also being added to give the Glam & 3D look. As these are usually stuck to the wallpapers, it can add quite a fair bit of price to the cost of the wall art. So how much does wallpaper cost?? The price has risen a lot since the 70’s but the papers are much better than back then. Now days they are vinyl based, so they are stronger & come off easier for when you want to change. They are also usually water resistant, making them great for decadent bathrooms, & also have great UV protection which many old ones didn’t have. The price of papers vary significantly from about $50 per roll to $400 per roll, however there are many great styles around the $99-$160 price range. If you were hoping to wallpaper a bedroom wall of approximately 3.5m wide & 2.4m high, you would usually need 2 rolls, assuming there is minimal pattern match & they are the stand widths. 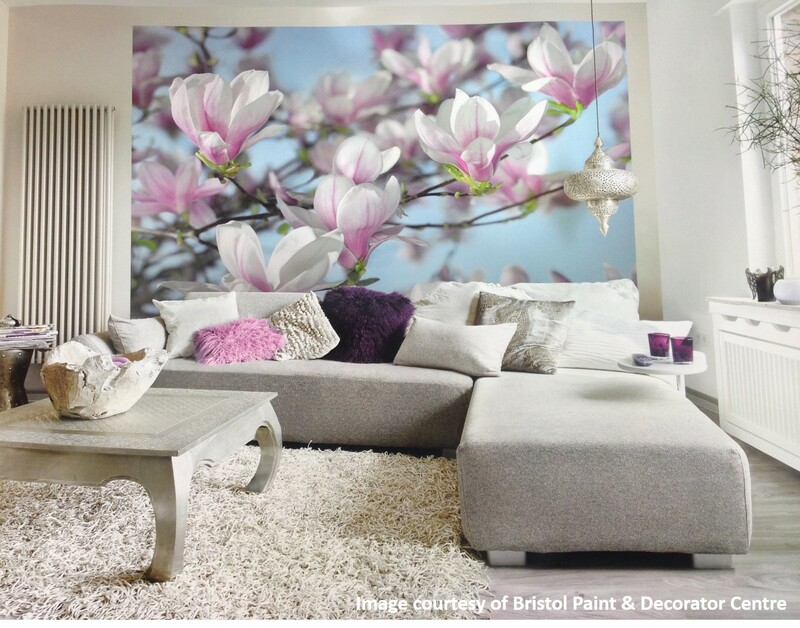 So your fantastic feature wall could cost you about $200-$360 in paper. Not bad for a massive change! But then there is the application…. Can I put it on myself? The answer is yes. There are plenty of DIY help tutorials available to explain how to apply your paper, but the best thing to do if read the instructions with the paper. Some papers are pre-pasted, some need you to paste the wall, so just read what your paper requires. But remember – measure three times & cut once. If you aren’t comfortable putting it up yourself, then you can hire a painter or wallpaper hanger to do the job for you. After that you get to sit back & admire the huge difference some personality will make to your home!